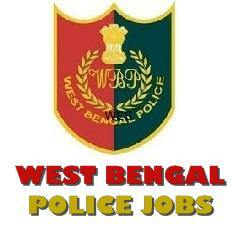 West Bengal Police Constable Male Online Form 2019 West Bengal Police Constable-Male Bharti 2019 8419 Constable Vacancy in West Bengal Police - West Bengal Police Recruitment Board invites the eligible candidates to take part in the selection process for the 8419 Posts of Constable. Candidates, who are searching for Police jobs in West Bengal, can apply through online or offline mode. The registration process for the West Bengal Police Constable Recruitment 2019 will start from 5 Feb 2019. The online application form and instructions are available on the official website. West Bengal Police Constable (Male) Online Form 2019: The West Bengal Police has issued a recruitment notification on its official website to fill the posts of constable (Male). Candidates who wish to apply for the WB Police Constable Jobs 2019-20 read the complete notification before fill up the application form. For other details such educational qualification, age limit, selection process and salary, read the notification given below. 1. The candidate should be Madhyamik from a recognized board. 2. The candidate must be able to speak, read and write the Bengali Language. For more information please read the official notification. West Bengal Police Constable (Male) Online Form 2019: Please read the official notification carefully filling the application form. Jkfreejobalert.com is an appropriate job searching website for experienced and freshers candidates who are looking for government jobs. Jkfreejobalert.com helps the candidates in online applications for government jobs.